In the last 20 years, in large part as a response to the collapse of European communism but also now spread throughout the world, ‘rule of law promotion' has become enormously fashionable. Questions arise about the relationships between the understanding of ‘rule of law' by ‘rule of law' promoters and the philosophical traditions out of which the term developed. There are further questions of an urgent practical nature about what the rule of law depends upon, what needs to happen for the rule of law to develop, what ‘rule of law promotion' can do to succeed, whether it can succeed at all. The course will also explore such practical, and in many parts of the world, urgent issues. The course will start with conventional legal and philosophical accounts of the rule of law but as it develops students will be encouraged to see the unavoidable bearing of political and sociological perspectives on any attempt to understand, let alone develop, the rule of law. 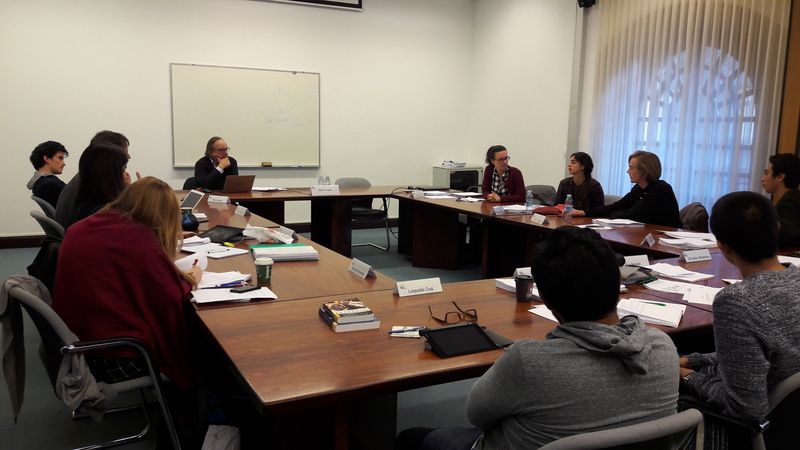 The course will begin by examining writings from political and legal philosophy within which the concept of the rule of law, and allied concepts in other languages - Rechtsstaat, l'état de droit, stato diritto, państwo prawa - developed . Students will be introduced to classic arguments for the rule of law, and debates about its nature, preconditions and consequences. They will also meet criticisms, both of the concept and of its worth. Many discussions of the rule of law do not venture beyond writings of philosophers or lawyers. However, if the rule of law is important at all, does any useful work, it must do that in society , not just in official offices and chambers . However, philosophers and lawyers have no special expertise in what goes on, or how law works in society. So the course will move to discuss some of the ways law does its work, that might surprise those who share widespread and conventional notions of the ways law works in the world. The rule of law is vulnerable to erosion, attack, and destruction, from sources internal to the legal order, outside from social forces inimical to it, and from political and administrative ones as well. It is also vulnerable to such contemporary opponents as terrorists, and to counterterrorists as well. The course will explore some sources of such vulnerabilities and dangers, and how they might best be avoided. Why Care about the Rule of Law?